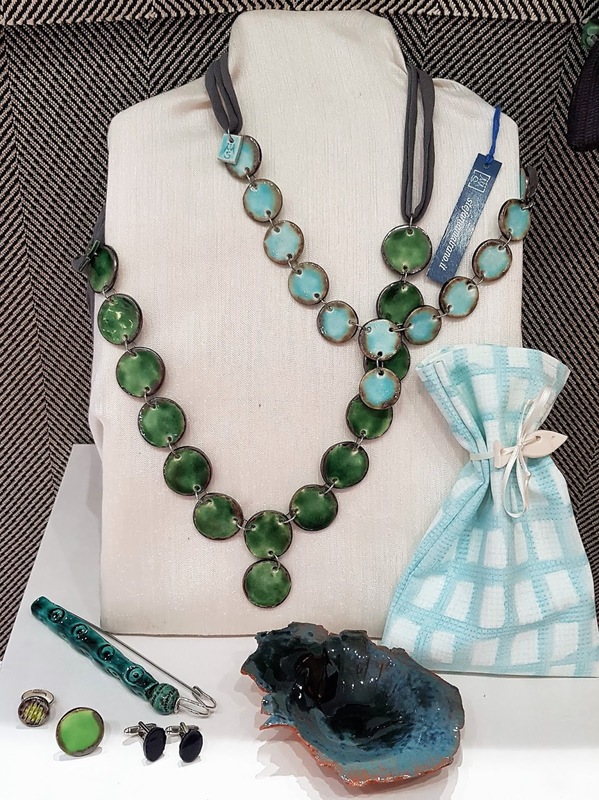 Last summer our eyes caught some bright colors in a shop window. It was an ocean themed display of necklaces, pins, earrings, rings and cufflinks; some were boats, others were fish, but every piece was handmade in ceramics by Stefania Mairano. Months went by, Christmas came and we needed to make two special presents, two good omens to dear people who needed an extra boost for the year to come. This is how we got to meet and know the artist and how she works. A native of Turin, Stefania's story is one of passion and love for art. 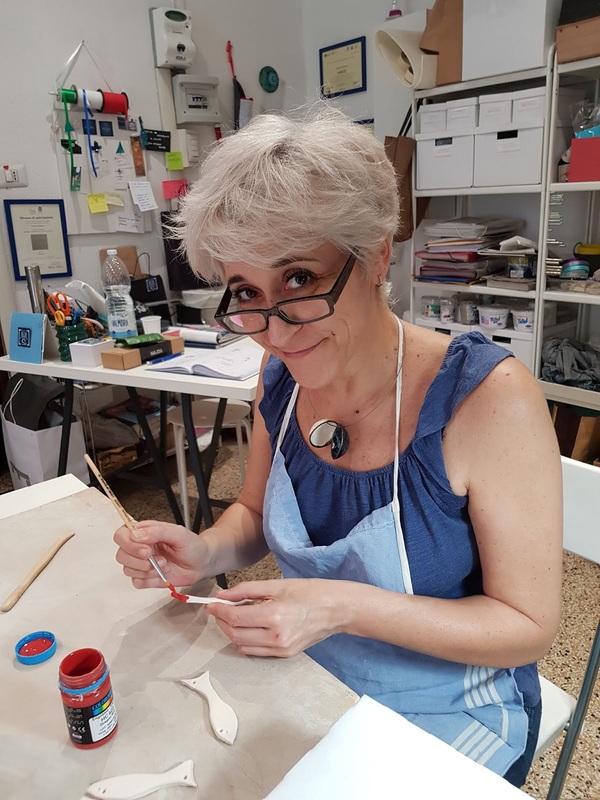 She is also one of the many who transitioned from the office to her workshop, or we should rather call it 'the room where the magic happens' - in Via Peyron 50/C, near central Via Cibrario and the D'Acaja subway station, here in Turin. 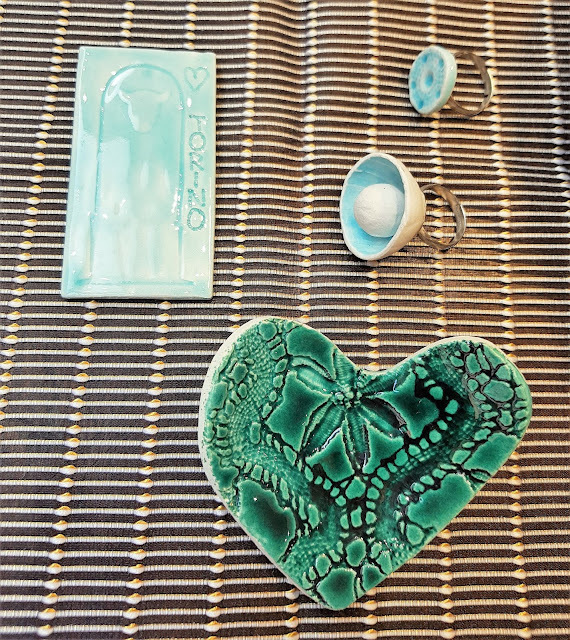 It all started out of curiosity, thanks to a ceramics class she took: that's how she realized that her hands, synced with her creativity, could produce endlessly 😜 thus giving life to anything her mind could actually think of. Looking back now, from the door of her workshop, we can say that her professional life as a company employee took a turn for the better when she left the office, and the best part happened on the day, her mom's friends - who was collecting food for homeless dogs and cats, called her to say she could have her shop! This was 2015 and since then it's her business and her life. 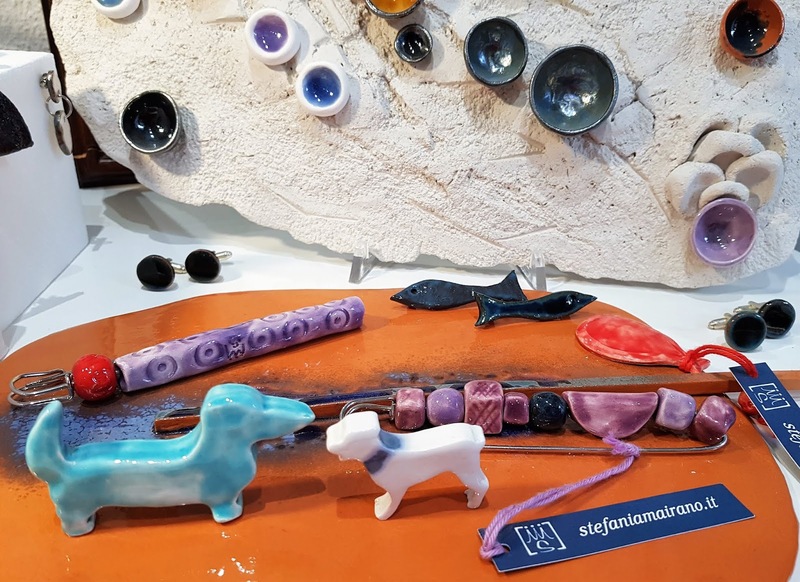 'Ceramics has the great power of getting people into a productive and artistic meditation' told us Stefania. When she creates and paints, she is in 'her bubble' and there's nothing around her. 'Ceramics forces you to see only what you are doing, one thing at the time. The present is the only dimension' so worries and problems dissipate automatically. Virtually everything is a source of inspiration to Stefania: nature, the sea, things she sees around. Not only as subjects but also as objects to make, shapes, colors and materials. Stefania loves many things but hates one: monotony. The repetition of the same thing bores her and this is what pushes her through an everlasting research for the new. She always tests new techniques, new clays, new lines, new colors, new shades of enamels together with new textures. In fact, she showed us how raw enamels barely have a color when raw and how they change according to the quantity she uses, the base color of the clay she works with and the light they capture. 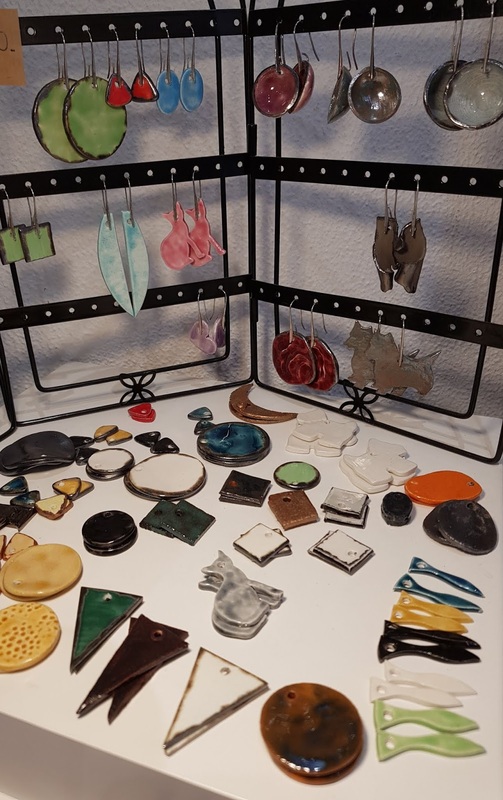 More than the colors, she is very fascinated by the clays and the materials she can work with, because the enamel nuances vary according to the surface they are painted on. She would also like to explore porcelain for its extended potential as you can use those jugs, vases, mugs as containers and colors take new shades too. In her mind there is always something new boiling: new projects and collaborations. And still, she also produces upon request both for companies and regular costumers, like she did with us in December 2017. Back then, an image had stuck in our mind since the summer: a bright goldfish, or a koi fish, the Asian good luck carp. 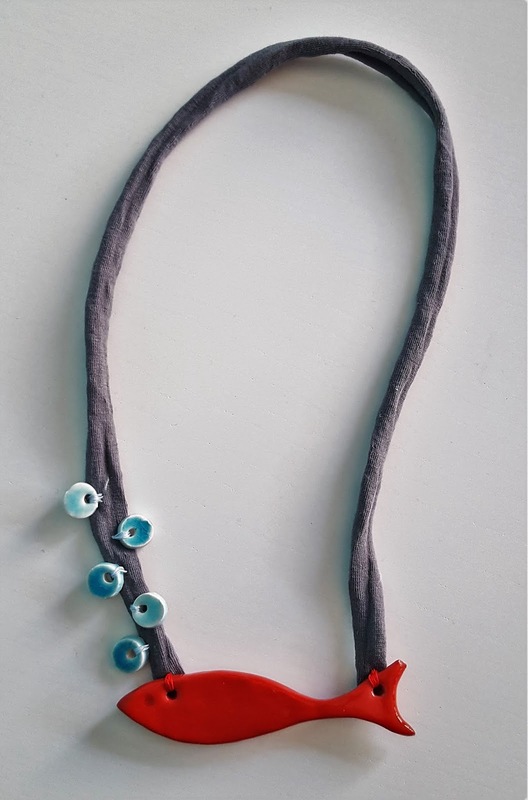 Patiently, Stefania listened to our request and she prepared our merry 'red herring' necklaces as we familiarly refer to them. Needless to tell you that the recipients of our herrings were paid many compliments, were asked what pond they had fished them out and Stefania got requested a whole new school of lucky red herrings! 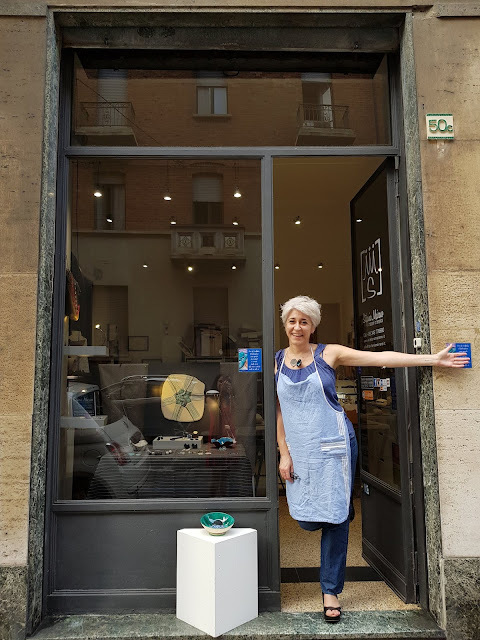 So whenever you are in Turin, remember to include a stroll in the Cit Turin neighborhood to look at the gorgeous Art Nouveau buildings and to get your one of a kind handmade souvenirs by Stefania Mairano. Follow Stefania on Facebook @stefania.mairano.7 and Instagram @stefaniamairano to see where her art takes her. who wouldn't like a toret fountain handmade in ceramics from Turin? ?